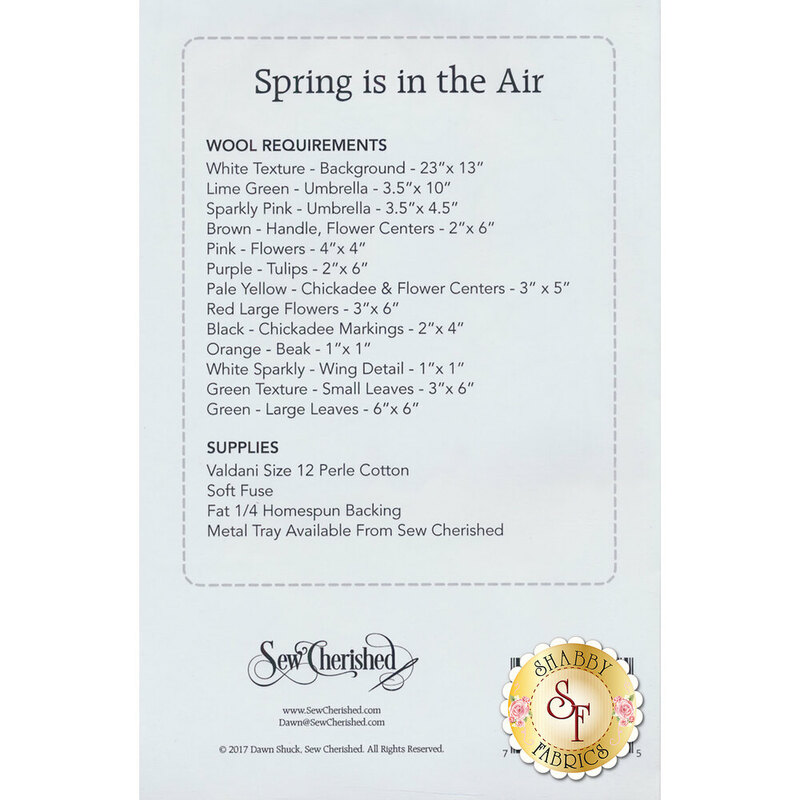 Bring the beauty and flowers of spring into your home with Spring is in the Air by Sew Cherished. 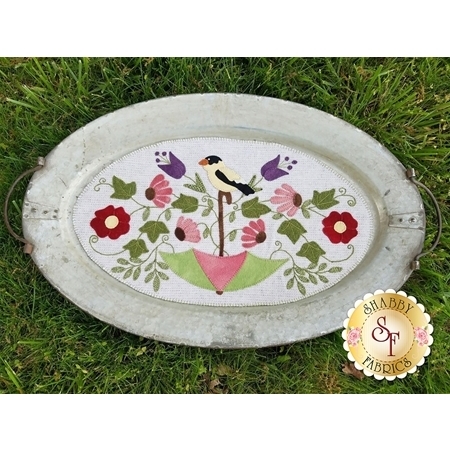 Made for wool fabrics, this applique mat features an umbrella with spring flowers and hand embroidered embellishments. Finished project measures 12" x 21".